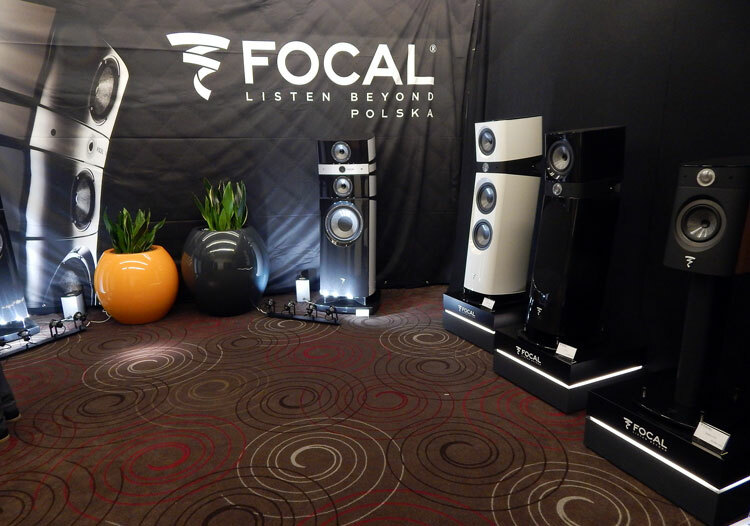 Lets start: Focal didn’t even need to play any music, everyone knows how well they play, but what they don’t know is that their new speakers are absolutely mind boggling when they are properly set up. If you want clinical, you can get it, if you want warm, they can do that too. Very adaptable and new lush colours make the famous speaker company want to stand out more, but they have to change shapes to do that. I guess they don’t want to lose the great sound!!! 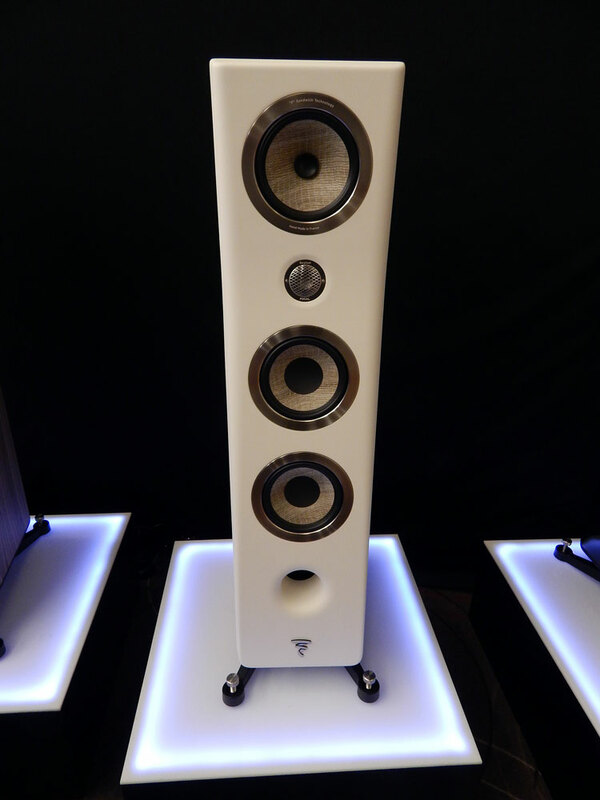 Focal have done a few things to the speaker, which unfortunately does not show how far ahead they have become. The reason is because they have what people think is the same design, but in reality their workmanship and quality is exceptional and I would easily own a few pairs. The display was immaculate but I wish they were playing. More about THIS Kanta speaker later, covering the 2017s Greek Hhos & Eikona Show. 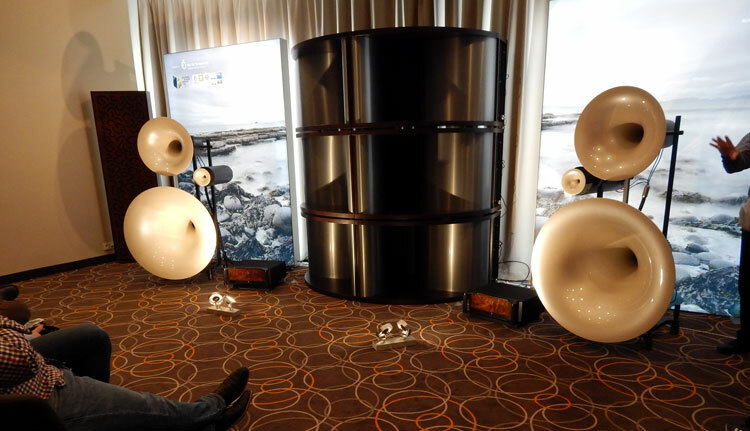 I just love these speakers horn, the bass is “jazz”, and RD Acoustics from the Czech Republic for 8.000 euro, have a wonderful product if your looking for well built, all round super fun and can be played by almost any amp. 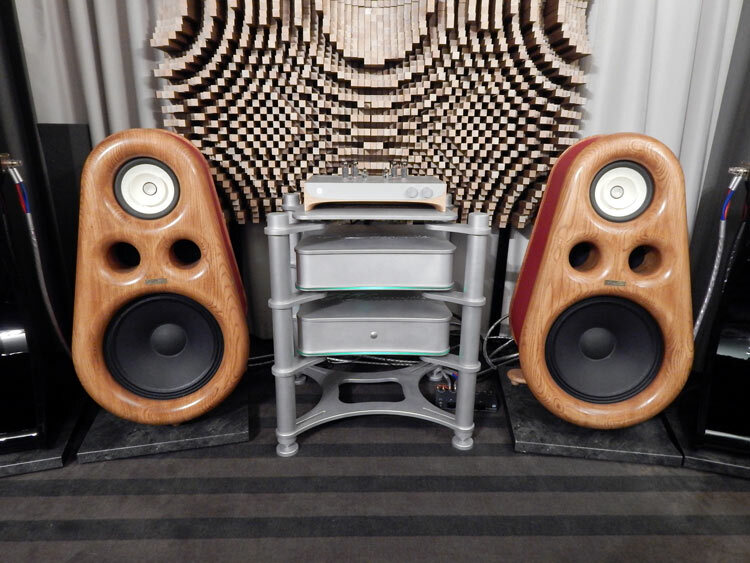 Very badly presented at the show due to the very limited space they had, but the true potential of this speaker has a special market of its own. We will have it VERY soon for a full review and have many people listen to the option this company offers. I can’t wait! I forgot to mention the amp. There was a reason why. But the power conditioners did some good work at least. Serious looking indeed. Army system in life. They are for the few people who enjoy character in music. Oozing capability in anything you give it. Not my taste but you have to give it a good listen to see if it is yours. 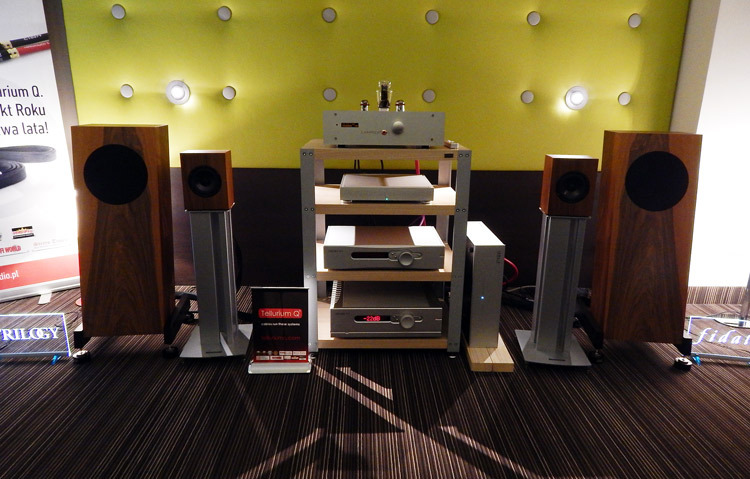 The well known and very well made Avantgardes didn’t exactly sound like they should have at the show. They did look impressive though. 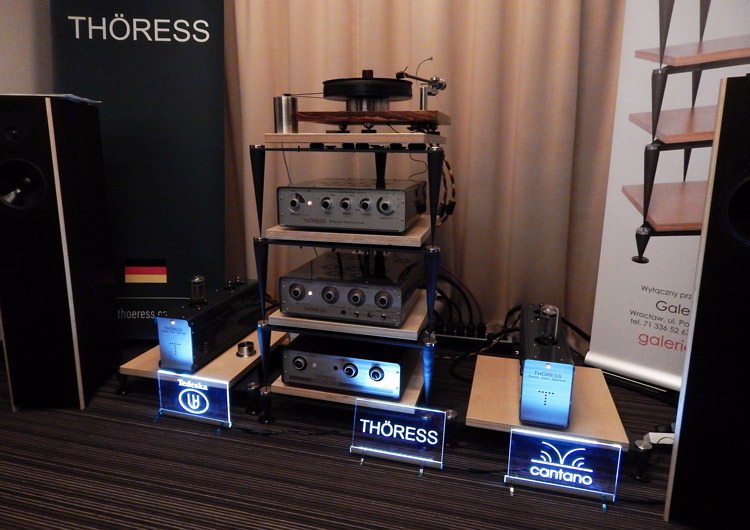 Unlike Munich High End Show, there they were like a living big sound picture. 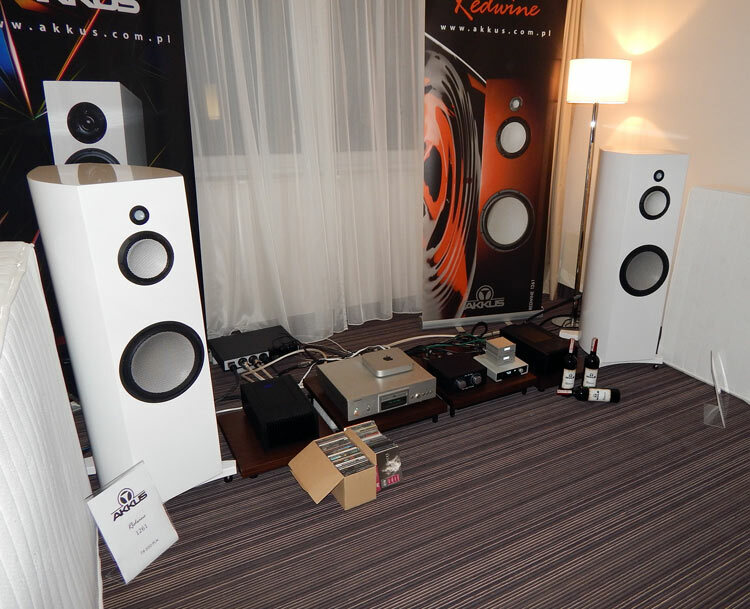 A SUPERB speaker made in Poland, that couldn’t be taken seriously because of the two insanely positioned mattresses on the wall. 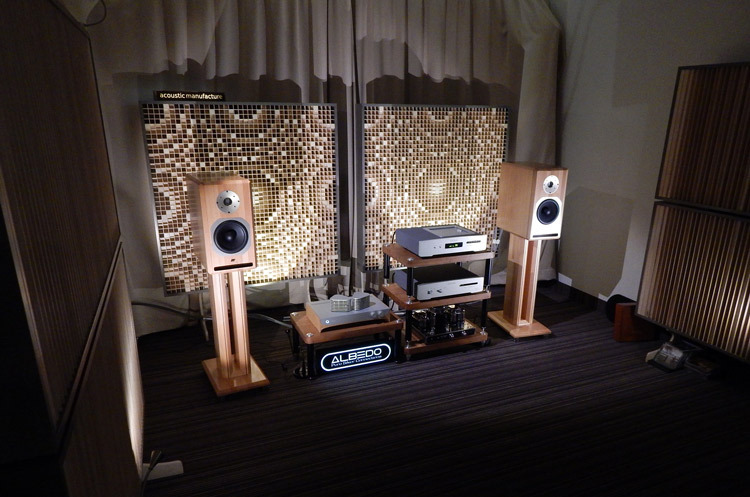 Akklus, I loved the speakers ability, but you shot yourselves in the foot. This little processor does more work than I do. 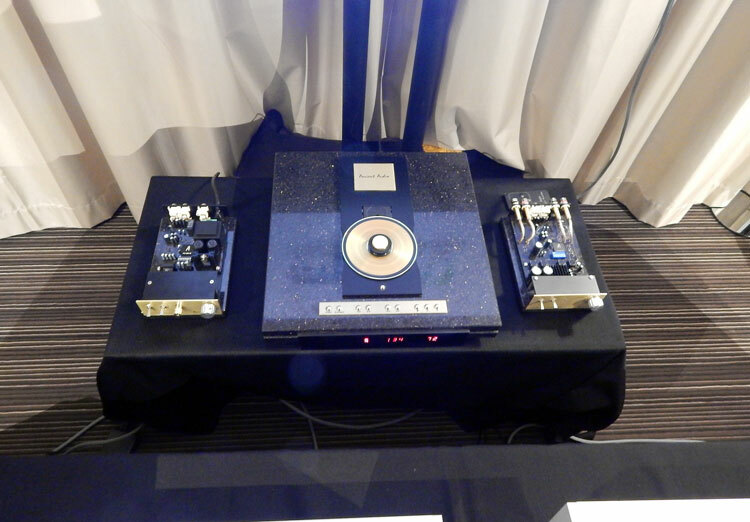 Ancient Audio has moved forward in ways that were quite remarkable. 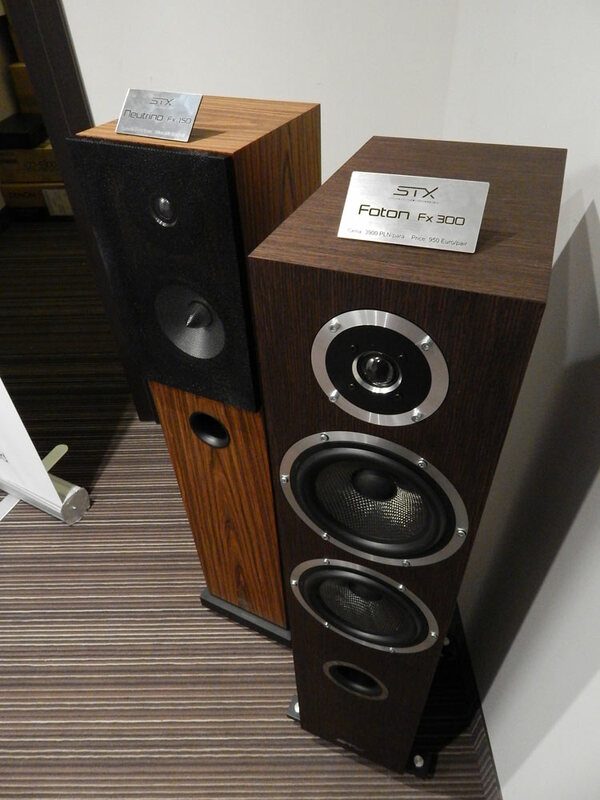 Small speakers and with a small 1200 euro price, but the sound was worth triple that. DSP that made total sense. 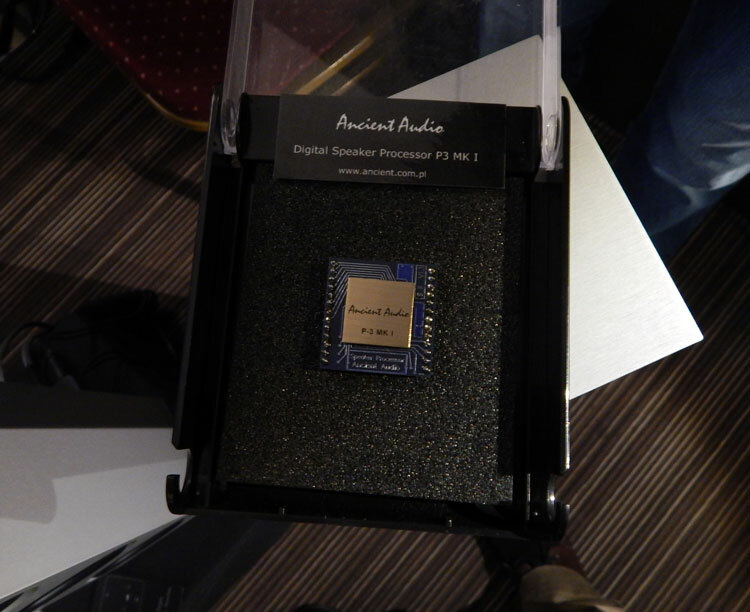 Ancient Audio, with the microchip shown in another picture has developed some serious stuff. Watch out for this company in the future. 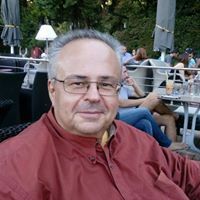 They will seriously impress very many people with very good pricing and sound that only they know how to create with their DSP (digital signal processing). Mouth opening, jaw dropping music. 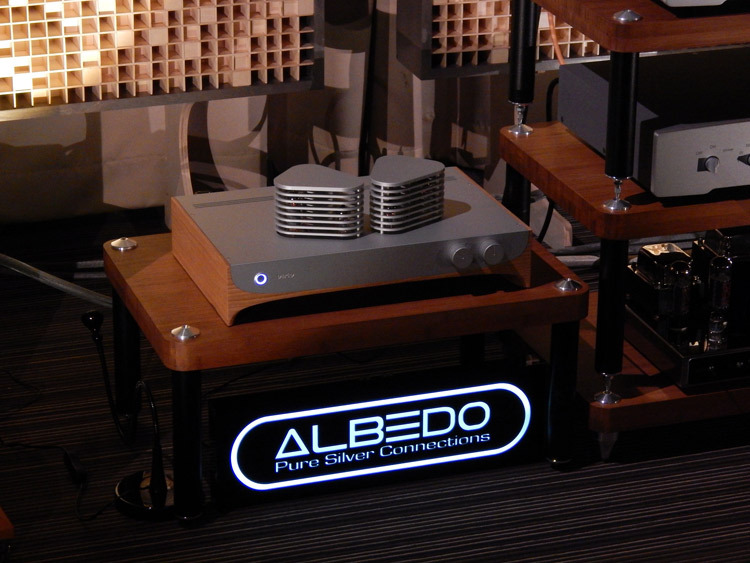 Simple and honest designs and with speakers that are fully connectable and active, with DSP in each speaker! 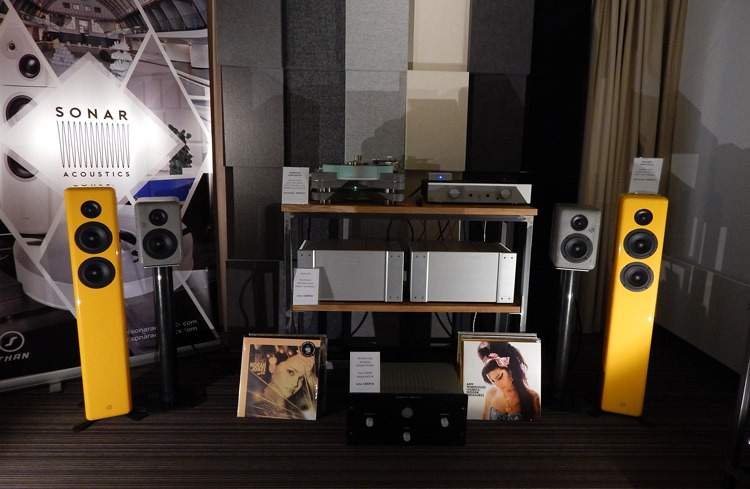 Despite playing with TelluriumQ Black, the Trilogy collection was not as refined as other small speakers at the show. They did have bass though. Kudos for that! Sonar Acoustics didn’t have much acoustics, but they did have very well finished speakers. I wish we could have heard the turntable. 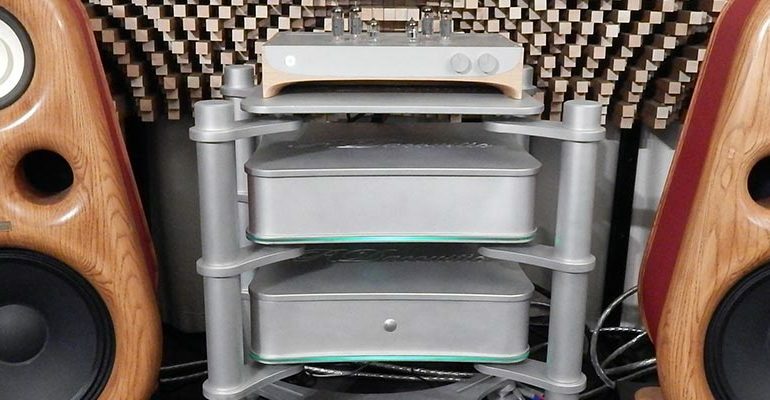 Wonderfully designed Czeck design 8 watt amp, but sincerely not worth the 3.400 euro. Beautiful though. I wonder why I did not remember the name of this speaker? Or, you can guess why. I did love the intricate sound correction though. They needed it. With the 8 watts from above ! 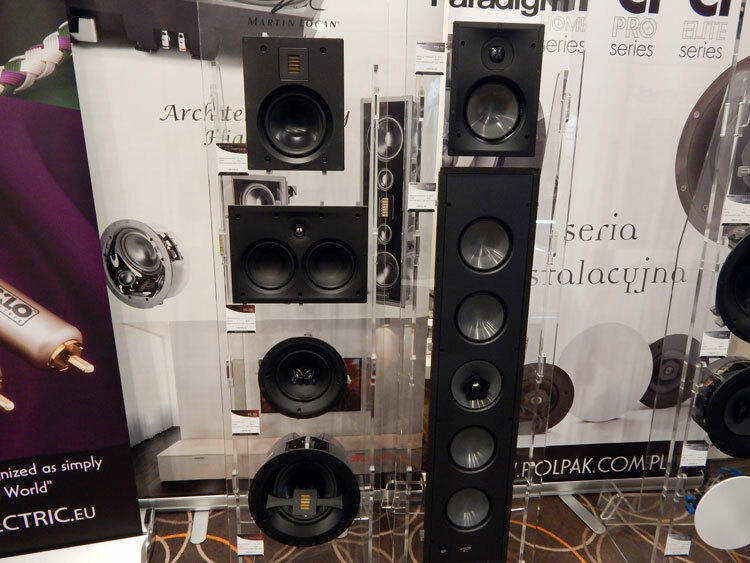 Paradigm had a great wall of their woofers. Very well done showcase. This speaker actually got the best of me. I loved it. It was rock, it was classy and it was ready for anything thrown at it. Super pricing and a great way to hear music on a very small budget. The Foton 150 would be enough for anyone starting up to create a good sound.